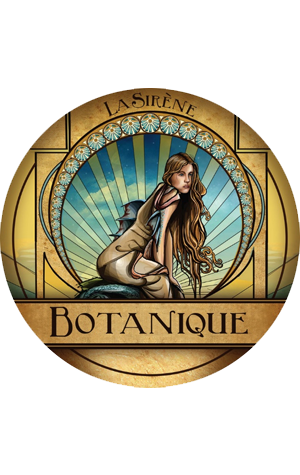 There's much ado at La Sirene, the Melbourne-based farmhouse style ale protagonists. The brewery is much expanded, the collection of barrels is expanding and in just a few weeks a custom built coolship will be erected in the roof of the brewery's barrel warehouse ready for a spontaneous fermentation program to commence in earnest. There will be a herb garden to follow too, with the intention being to use what's grown there in beers such as this. The first such seasonal saw the beer brewed with rosewater and infused with aromatic Mediterranean mastic and Cinnamon sticks to give the beer upfront rose aromatics. This time around it's in season mandarin peel with fresh white whole peppercorns that Costa reckons give the beer "fresh mandarin citrus aromas" alongside the base beer's complex yeast-driven characters. The peppercorn adds "slight heat and spice" with the result a beer he reckons is well matched to spicier foods, including some Japanese dishes, which is kind of handy as a few kegs are heading to Japan.